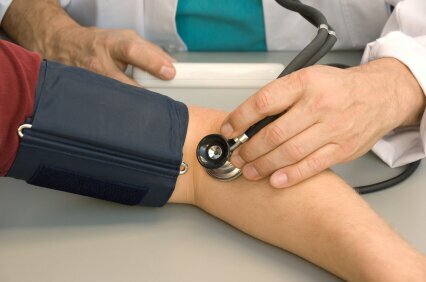 Hypertension (high blood pressure) seems to be an ever evolving healthcare crisis in the U.S. This progressive disease is also known as “the silent killer” because there are not always noticeable symptoms associated with hypertension until it has been chronic and organs become diseased. High blood pressure can affect your blood vessels, heart, brain, kidneys and eyes. Chronic hypertension left untreated can lead to headaches, eye/vision damage, aneurysms, kidney failure, heart attack and stroke. However, there are a number of holistic approaches to effectively bring your numbers down naturally before resorting to prescription medications. Lifestyle changes that have been proven in eliminating hypertension and bringing your numbers into the normal range are exercising, quitting smoking, losing weight, chiropractic care, and using natural supplements (i.e. Vitamin C, Vitamin E, Magnesium, Potassium, Calcium, Garlic, Black Cohosh, Cayenne, Valerian Root and Kelp). Salt restriction is also necessary and should not exceed 2400 mg or 1 tsp per day. Chiropractic care is a gentle and natural therapy that has helped lower blood pressure to normal. As one Dobrich Chiropractic patient states, her systolic reading (top number) dropped from being in the high 150′s to now consistently being in the low 130′s just with chiropractic care alone. Her diastolic (bottom number) is now in the 55-60 range consistently…..10 points lower then before treatment with chiropractic care.